Surface electrical stimulation has the potential to be a powerful and non-invasive treatment for a variety of medical conditions but currently it is difficult to obtain consistent evoked responses. A viable clinical system must be able to adapt to variations in individuals to produce repeatable results. 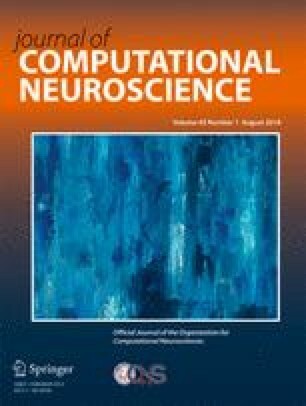 To more fully study the effect of these variations without performing exhaustive testing on human subjects, a system of computer models was created to predict motor and sensory axon activation in the median nerve due to surface electrical stimulation at the elbow. An anatomically-based finite element model of the arm was built to accurately predict voltages resulting from surface electrical stimulation. In addition, two axon models were developed based on previously published models to incorporate physiological differences between sensory and motor axons. This resulted in axon models that could reproduce experimental results for conduction velocity, strength-duration curves and activation threshold. Differences in experimentally obtained action potential shape between the motor and sensory axons were reflected in the models. The models predicted a lower threshold for sensory axons than motor axons of the same diameter, allowing a range of sensory axons to be activated before any motor axons. This system of models will be a useful tool for development of surface electrical stimulation as a method to target specific neural functions. Action Editor: Gaute T Einevoll. The authors would like to express appreciation to Matthew Schiefer for his assistance in using Ansys and general modeling advice. Funding was received from the following entities but none of these entities had any role in design of the study or analysis of the data. • Hope College Dean of Natural and Applied Sciences. • A grant to ‘Hope College’ from the Howard Hughes Medical Institute through the Precollege and Undergraduate Science Education Program. • Michigan Space Grant Consortium Undergraduate Fellowship Program. • Hope College Nyenhuis Faculty Development Fund. and Q10 is the temperature coefficient. Sha, N., Kenney, L. P. J., Heller, B. W., Barker, A. T., Howard, D., & Moatamedi, M. (2008). A Finite Element Model to Identify Electrode Influence on Current Distribution in the Skin, 32(8), 639–643. https://doi.org/10.1111/j.1525-1594.2008.00615.x.